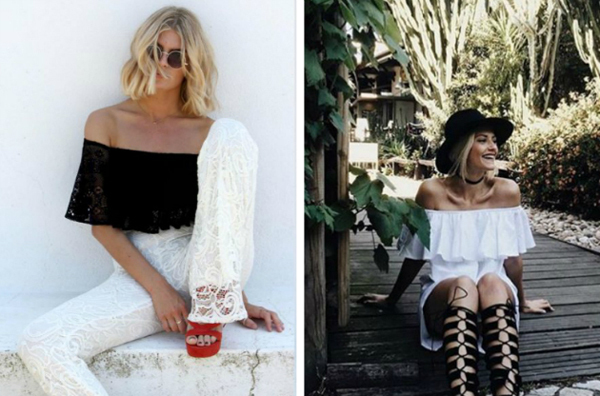 Home Beauty & Fashion 7 fashion trends that will flood Instagram this summer! Fashion bloggers are always looking for the biggest fashion trends that will rule next season. So if you want to be notified about what will be worn on the streets is enough to take a look at the trendy girl’s Instagram profiles and their combined clothing. In view of the wardrobe that will be popular this summer, we singled out seven pieces that we consider in this hot season will be the “guest” of Instagram profiles of fashion bloggers, editorial, fashion stylist and other insiders. Dresses and crop tops with open shoulders this hot season is one of the biggest fashion hits. Look very romantic and feminine, sensual revealing the back, neck and shoulders that looks especially pretty on any girl. You do not have to wear a dress to look elegant. Unless you are the kind of dresses, there are jumpsuits that can look fantastic. Perfect for summer weddings and night party, the jumpsuit with long trouser legs and naked shoulders will look better than ever. Boho trend dominating this season. Trend setters this summer will wear see-through boho blouses, especially with bell sleeves. Sleepy, feminine and romantic! 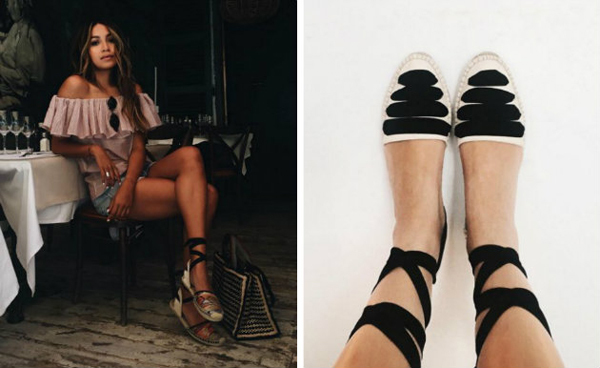 As for the summer shoes, fashion bloggers and other fashion insiders, this summer especially love espadrilles and those that tie around the ankles. Lightweight, practical, espadrilles are straight summer choice and will not make a mistake by wearing them. Real trend of seventies and retro dioptric glasses which this summer look especially trendy and cool. Many trend setters decided their summer combinations to complement with this nice fashion accessory. Colorful print is always popular, but this season especially dominates the fashion combinations for trendy girls. This season, it must be admitted, the lines are not even slightly subtle but rule the objectives and combine with other pieces in lines or by any other printing. Playful, cheerful and colorful, pompons this summer are found as a fashion detail of shoes and bags, and trend setters surprisingly easily have accepted them, although the trend seemed to start very slow. Next articleReasons why you should go on vacation with your mother!